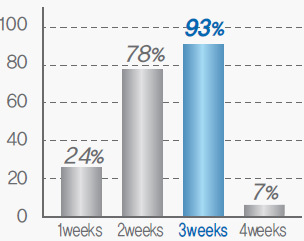 Among 58 male and female subjects who participated in the clinical study, excessive sebum and dandruff were removed in most of the subjects within 2~3 weeks of use. After one month of use, all subjects showed normal status. 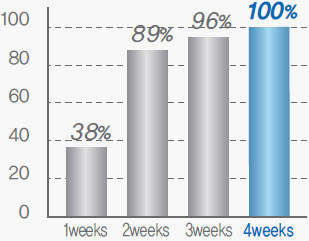 Within 2~3 weeks, most (93%) of subjects showed significant reduction in hair loss. 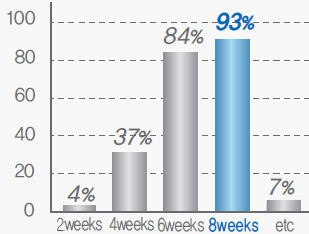 Hair growth effect with the thickening of hair was seen in most (93%) of the patients between 4~8 weeks. 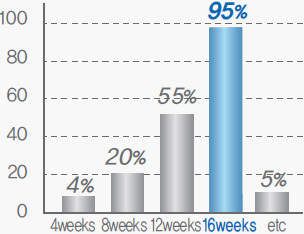 Increase in the Hair growth effect was seen in most (95%) of the patients between 8~16 weeks. 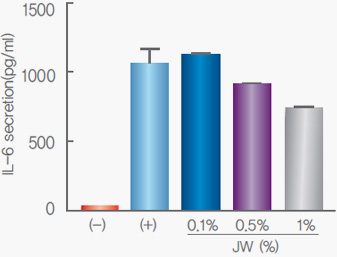 Looking at the results of JW12, expression level of growth hormone IGF-1 was higher in comparison to the control group. Expression of TGF-β1 which disturbs the growth of hair was lower compared to the control group. 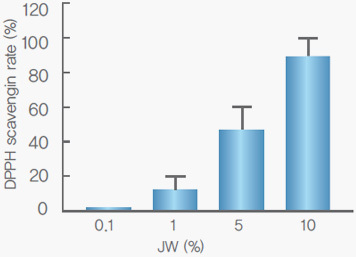 This shows acceleration of hair growth incited by JW12. and the IL-6 suppression rate was about 46%. suppressed an expression of TGF-β2. increased concentration resulted in a lower expression.